Dorothy Lathrop was fortunate to have her career span the end of the golden age of illustration into modern times, for which she has received numerous awards for both her writings and illustrations. 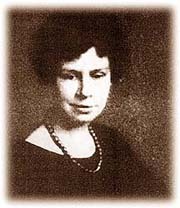 Dorothy Pulis Lathrop was born on April 16, 1891 in Albany, New York to Cyrus Clark Lathrop, a businessman, and I. Pulis Lathrop, an artist. Lathrop recalls art being a part of her life from an early age. The creatively charged atmosphere in the Lathrop household must have been great because Lathrops sister Gertrude became a sculptress. She also credits her paternal grandfather, who owned a bookstore in Bridgeport, Connecticut, for fostering her love of books. This early exposure to literature fired her desire to write and, later, to combine it with her love of art. Lathrop studied art for three years at the Teachers College of Columbia University and graduated with a teachers diploma, which pleased her father, a practical man who did not believe that any one could make a living at art. She also studied illustration at the Pennsylvania Academy of Fine Arts and the Art Students League in New York City. Teaching art for two years at the Albany High School made her realize that she would prefer illustrating children’s books. Her first illustrated book, Japanese Prints by John Gould Fletcher, was published in 1919 but unfortunately the publisher went bankrupt before she received payment. Nonetheless, her career was off and running because a new book illustrated by Lathrop appeared almost every year. It was the encouragement of Louise Seaman of the Macmillan Company that gave her the support she needed to try her own hand at writing. The resulting book was The Fairy Circus published in 1931 and was a Newbery Honor book in 1932. For many years, the two sisters shared a studio with their mother, which they soon outgrew. The two sisters moved into a house and had a two-room studio built in the back. Gertrude was in the habit of bringing home little creatures to model for her sculptures. It wasnt long before Lathrop found that she enjoyed drawing animals, and started to write her own stories which included animals. Between book assignments, Lathrop enjoyed wood engraving. 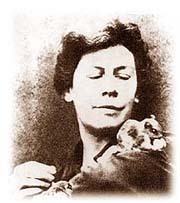 Like her books, she preferred animals for her subjects, becoming quite proficient at the process, winning several awards. Lathrop received a Library of Congress prize in 1946 where her work is represented in their permanent collection. Later in life, Lathrop moved to a small town in Connecticut where she enjoyed showing her pet dogs in dog shows. Lathrop died December 30, 1980 in Falls Village, Connecticut. She has worked in oil, watercolor, pen and ink and lithographic pencil. Much of her black and white work is high in contrast featuring large areas of black, yet her delicate pencil drawings in Bells and Grass can be so soft. Certainly, the artistic household that Lathrop grew up in had much to do with fostering her creativity. Commire, Anne, Something About the Author Volume 14, Detroit, Gale Research, 1978. Commire, Anne, Something About the Author Volume 24, Detroit, Gale Research. Kingman, Lee et al., Illustrators of Children's Books 19571966, Boston, Horn Book, 1968. Miller, Bertha Mahony and Field, Elinor Whitney. Caldecott Medal Books: 19381957, Boston: Horn Book, 1957. Miller, Bertha Mahoney et al., Illustrator's of Childrens Books 19461956, Boston, Horn Book, 1958. Little Boy Lost, Alfred A. La Mare, Walter De, Mr.
Print Club of Albany, 1944.
de la Mare, Walter, Bells and Grass, Viking, 1963.